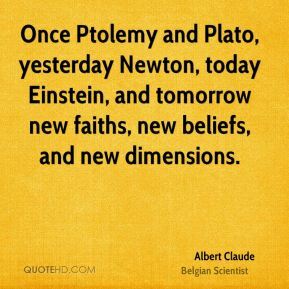 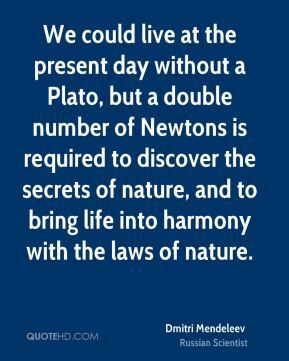 We could live at the present day without a Plato, but a double number of Newtons is required to discover the secrets of nature, and to bring life into harmony with the laws of nature. 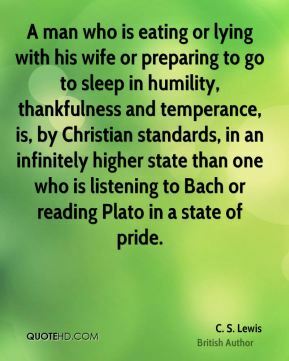 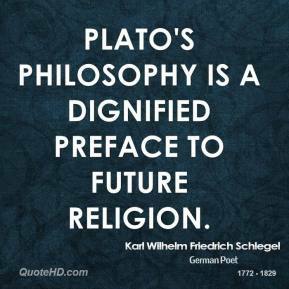 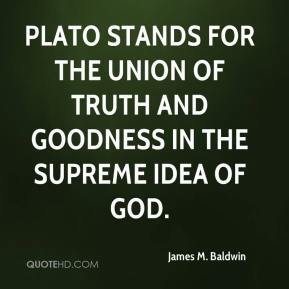 Plato's philosophy is a dignified preface to future religion. 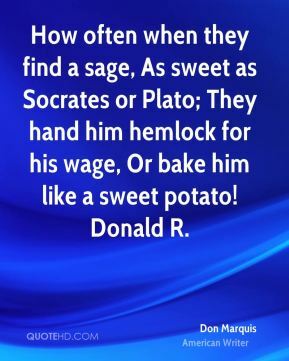 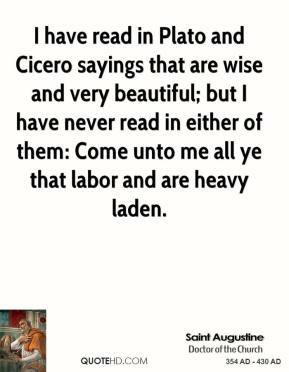 How often when they find a sage, As sweet as Socrates or Plato; They hand him hemlock for his wage, Or bake him like a sweet potato! 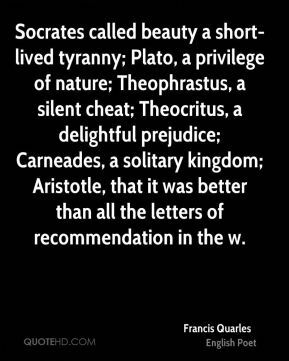 Donald R.
Socrates called beauty a short-lived tyranny; Plato, a privilege of nature; Theophrastus, a silent cheat; Theocritus, a delightful prejudice; Carneades, a solitary kingdom; Aristotle, that it was better than all the letters of recommendation in the w.
So too Plato was, in my view, a very unreliable Platonist. 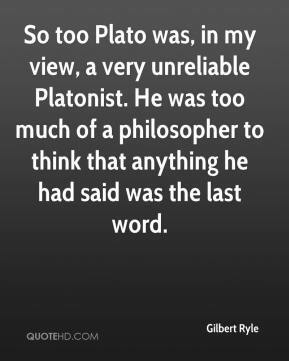 He was too much of a philosopher to think that anything he had said was the last word. 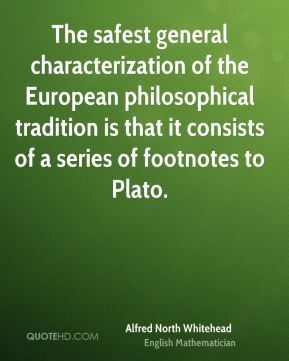 Our tradition of political thought had its definite beginning in the teachings of Plato and Aristotle. 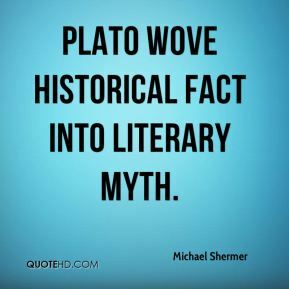 It goes back to the Greeks. 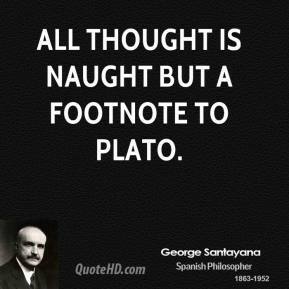 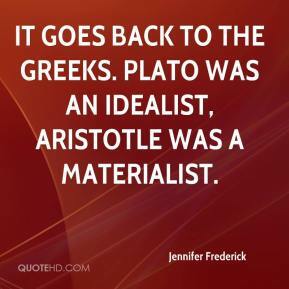 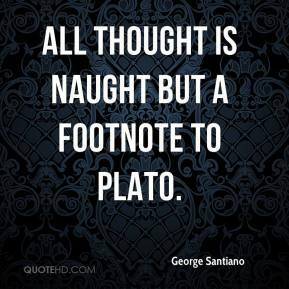 Plato was an idealist, Aristotle was a materialist. 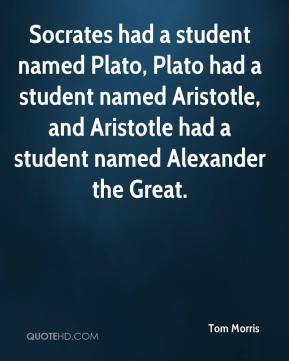 Socrates had a student named Plato, Plato had a student named Aristotle, and Aristotle had a student named Alexander the Great. 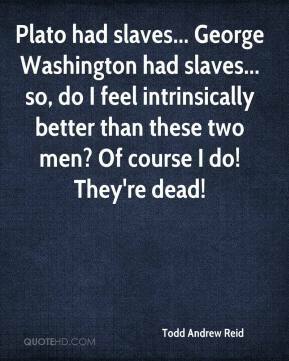 Plato had slaves... George Washington had slaves... so, do I feel intrinsically better than these two men? 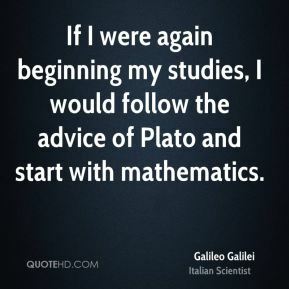 Of course I do! 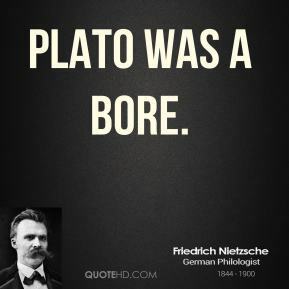 They're dead! 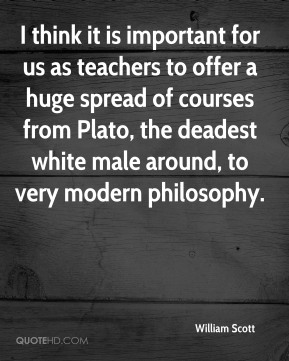 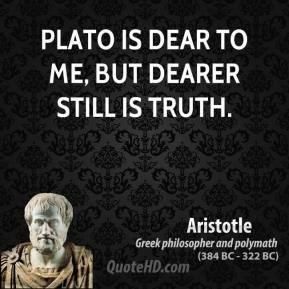 I think it is important for us as teachers to offer a huge spread of courses from Plato, the deadest white male around, to very modern philosophy. 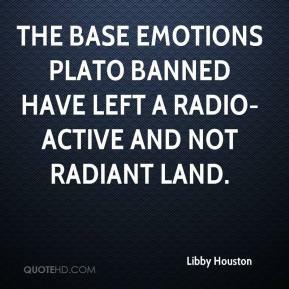 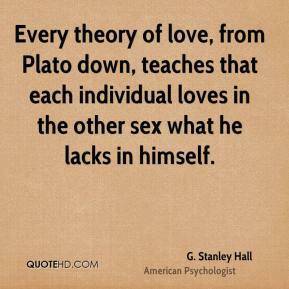 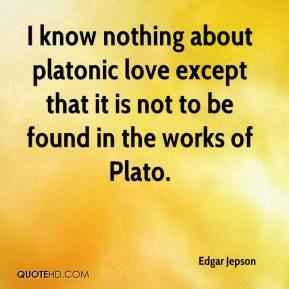 I know nothing about platonic love except that it is not to be found in the works of Plato. 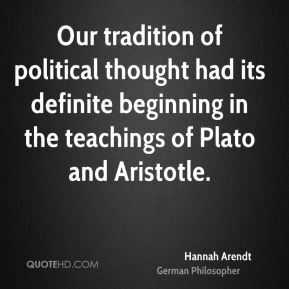 Our tradition of political thought had its definite beginning in the teachings of Plato and Aristotle. 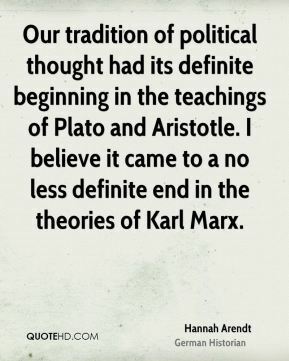 I believe it came to a no less definite end in the theories of Karl Marx.